Our biggest flying disc ever! 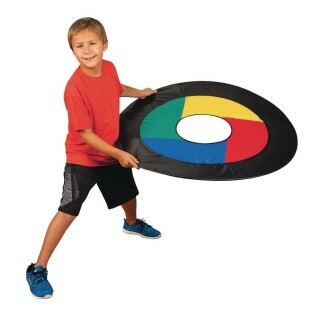 Our biggest flying disc ever measures a whopping 36"! 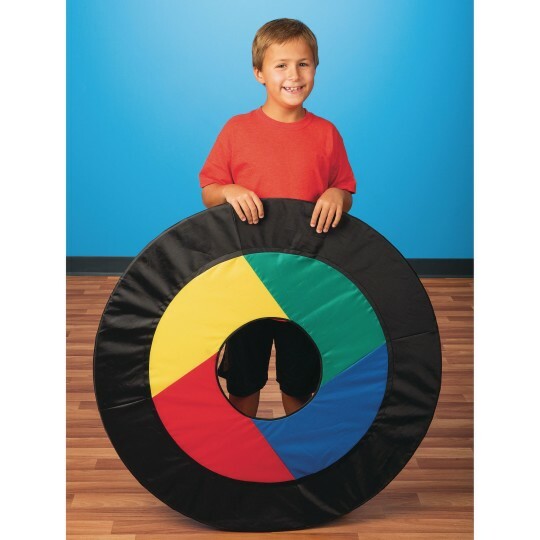 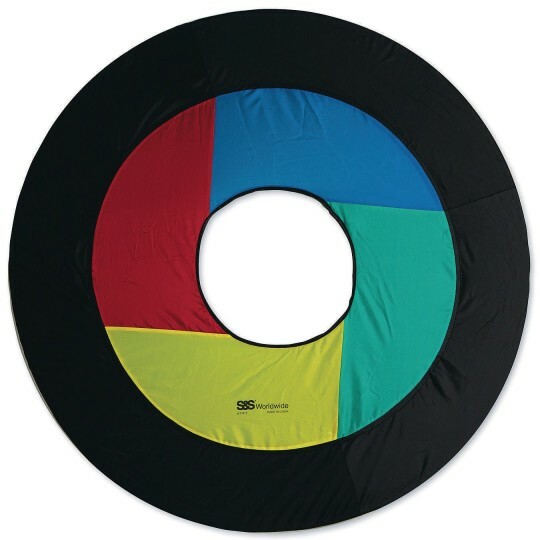 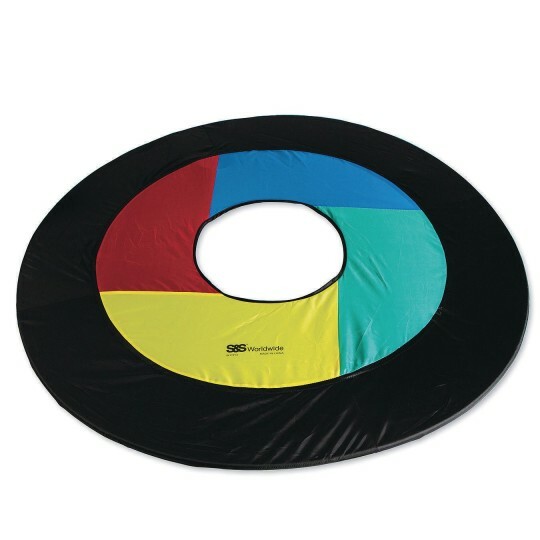 Made with a spring steel outer ring that is covered with a protective layer of foam, this flying ring can be twisted and folded so that it fits into the included storage bag that is less than 14" square. 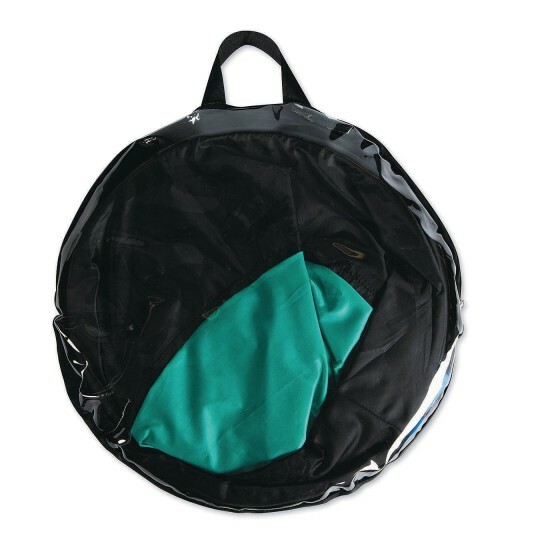 Inner hole is about 12" in diameter, fabric material is polyester.